Withholding32 is a Payroll Withholding Library in DLL format which allows calculation of Federal, State and Local withholding. It covers US and Canada. It can be used with your application which runs under a Windows environment. It is currently being used in applications built with Visual Basic and C++. You can buy our withholding products or buy our competitors. 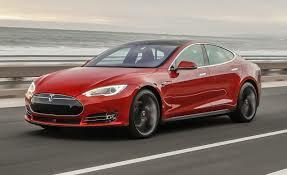 Buy ours and you'll save enough to lease a Tesla -- forever!. Since 1999! That's how long we've been providing complete withholding data to our clients. How often do we update? You can see our release notes here. We also offer Escrow services for increased peace of mind. Payroll Withholding Web API: Our newest offering for apps! Make your own Withholding APP. Design it anyway you like. For any web connected device (including smart phones and tablets). Click on the Web API tab for more information. Withholding32 also calculates SDI, SUI, FICA and Medicare withholding. You can get more information about ordering here. You can get a trial copy here. Click here to see our software license.